The Bucs will be visiting the Owls of Kennesaw State (2-16) on Saturday at 2:30PM. ETSU comes in on a one game losing streak after losing on Thursday night to Mercer 59-78. KSU has dropped their last 3, but they did have an 8-point victory against Mercer at home two weeks ago, a team that outplayed ETSU in all aspects of the game Thursday night. The Bucs look to get back on track against the current last place team in the A-Sun. 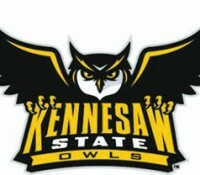 KSU won their lone conference home game this year against Mercer. While ETSU is 1-2 on the road in A-Sun conference games this season. ETSU will get a look at where they truly stand in the A-Sun Saturday afternoon against Kennesaw State. If ETSU cannot win this game then the rest of the season may look bleak for the Bucs. 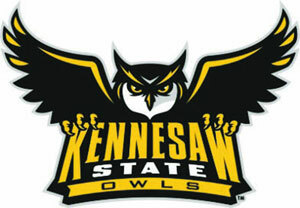 Kennesaw State is picked last in the A-Sun this season and is currently at the bottom spot with a 1-5 conference record. KSU is lead by Senior forward Markeith Cummings who is averaging 18 points and 4 rebounds per game. Like ETSU they give up around 70 points per game and only score around 60 point per game. Even though KSU has only won two games this season I still expect this to be a tough game for ETSU. ETSU is coming off their worst played conference game of the season against Mercer. This should be a concern for the Bucs as the lone conference game KSU won this season was against that same Mercer team in the KSU Convocation Center. ETSU is 9-0 against KSU over the last four years and will look to continue that streak. For ETSU to Win they will need to limit their turnovers and have strong play from both Lester Wilson and Jarvis Jones. In addition to that ETSU will need to shoot well from both the field and free throw line, two area’s they struggled with in the Mercer game. The Bucs will also need to play hard on defense especially when defending the 3-point shot. I also think it’s key that ETSU comes out strong in the first 10 minutes, while ETSU has played from behind for most of the season I believe a strong start will help their chances in this game.